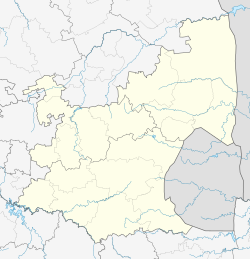 Emjindini is a township adjacent to Barberton in the Mpumalanga province of South Africa. It is situated in the De Kaap Valley and is fringed by the Makhonjwa Mountains. 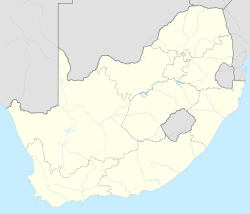 It is 43 kilometres (27 mi) south of Nelspruit and 360 kilometres (220 mi) to the east of Johannesburg. ^ a b c d "Main Place Emjindini". Census 2011. This Mpumalanga location article is a stub. You can help Wikipedia by expanding it. This page was last edited on 22 March 2019, at 22:45 (UTC).